Another exciting day awaits at the 2018 World Series of Poker, headlined by the start of the $10,000 No-Limit Hold'em MAIN EVENT final table which for the first time in over a decade will begin with no days off for the players making the final nine. 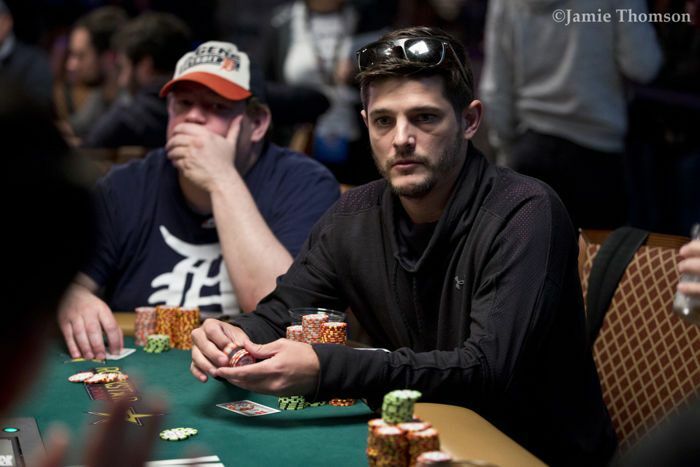 Nicolas Manion will start the final table as chip leader, with 2009 WSOP Main Event champion Joe Cada also still in the hunt for a second title. Six other events will also be playing out in the Rio All-Suite Hotel and Casino on Thursday. Several big names return for Day 2 in Event #74: Big Blind Antes $10,000 No-Limit Hold'em 6-Handed Championship including chip leader Robert Mizrachi as well as Loni Harwood, Daniel Negreanu, and Liv Boeree. Today also will be highlighted by bracelets being won in three different events — Event #68: The Little One for One Drop - $1,000 +111 No-Limit Hold'em in which 14 remain and Christopher Staats leads, Event #72: $1,500 Mixed No-Limit Hold'em/Pot-Limit Omaha 8-Handed where Ryan Leng heads the final 15, and the turbo-styled Event #73: $1,000 DOUBLE STACK No-Limit Hold'em where 54 players return and Evan Lipshultz is currently in front. After seven days of play just nine players are left from the Main Event starting field of 7,874. 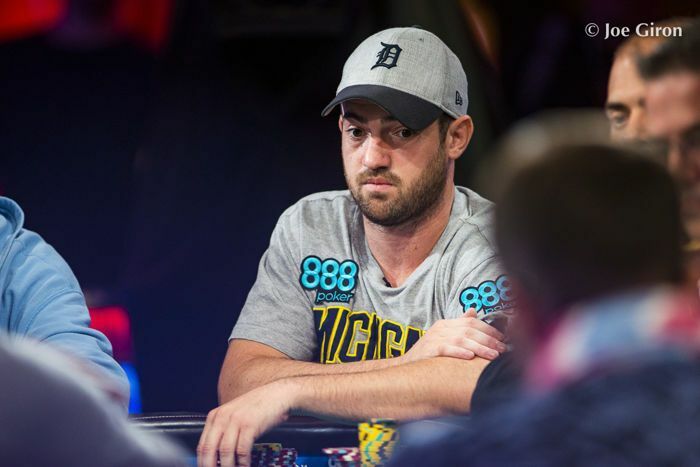 Following a dramatic three-way aces-versus-kings-versus-kings all-in to end play last night, Michigan's Nicolas Manion leads the final table with 112,775,000. Manion has just $16,739 in live tournament winnings and is looking for his first bracelet on poker's biggest stage. 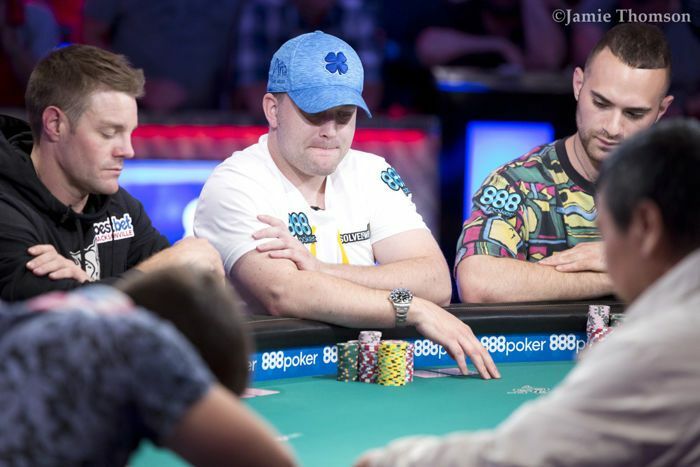 Joining Manion at the final table will be Michael Dyer (109,175,000), Tony Miles (42,750,000), John Cynn (37,075,000), Alex Lynskey (25,925,000), Joe Cada (23,675,000), Aram Zobian (18,875,000), Artem Metalidi (15,475,000), and Antoine Labat (8,050,000). 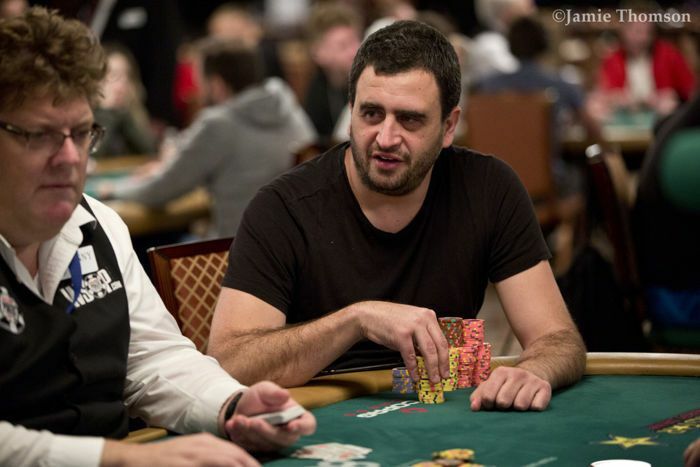 Cada will be one of the major storylines today as he returns to the final table after winning the event in 2009. Cada also won his third career bracelet at the start of the series in Event #3: $3,000 No Limit Hold'em SHOOTOUT. He has a chance to be the first multiple Main Event winner since Stu Ungar won his third title in 1997. Others previously winning multiple titles include Johnny Moss (three times), Doyle Brunson (twice), and Johnny Chan (twice). Can Cada accomplish the feat? Check back to PokerNews for continuous coverage of the Main Event when play resumes at 5:30 p.m. today. Click here to follow all the live updates. After three days of play, just 14 runners remain with a chance at the Little One for One Drop title. The remaining players are each guaranteed a minimum cash of $29,490, but all are hoping for a bracelet and the $559,332 top prize. 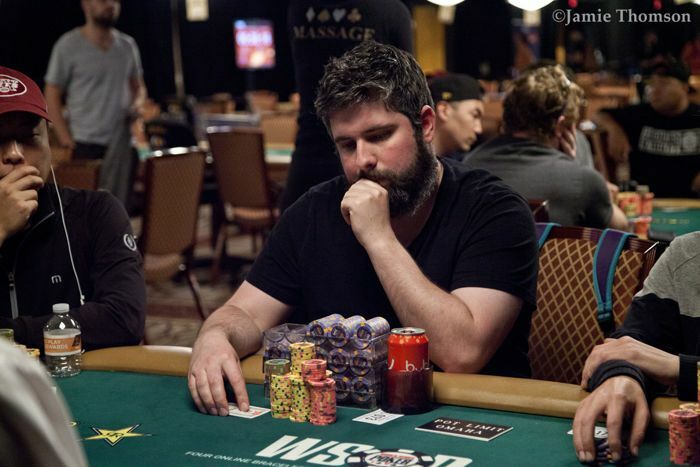 Christopher Staats returns in the top spot after bagging 6,715,000 in chips. Staats is followed by Erwann Pecheux (6,495,000), Richard Cox (5,250,000), François Tosques (4,675,000), and Sung Joo Hyun (4,400,000). Also still alive in the field are Day 3 chip leader Justin Liberto (2,140,000), Henry Liang (2,810,000), Paul Byrne (2,780,000), and Aditya Sushant (2,385,000). The Little One resumes at 2 p.m. for what should be the final day, and PokerNews will have all the action right to the final hand. Click here to follow along. As players move to Thursday's final day in this event, Ryan Leng leads the field of 15 with 813,000. This event attracted 707 entries for a prize pool of $954,450, and the winner earns a top prize of $197,461. Rounding out the current top five are Jesse Vilchez (561,000), Yuval Bronshtein (511,000), Jordan Polk (479,000), and Fernando Brito (478,000). The split-pot fun resumes at 2 p.m. and PokerNews will have you covered with all the live updates. This double stack turbo event attracted 1,221 entries, with just 54 bagging chips for today's second and final day of play. That total built a prize pool of $1,098,900 and a top prize of $199,586. Leading the pack to start today is Evan Lipshultz with 952,000. Lipshultz is followed by Jason Johnson (532,000), Thiago Nishijima (471,000), November Niner Jake Balsiger (446,000), and Matthew Berger (441,000). Also bagging chips were two-time bracelet winner Ben Yu (340,000), Leo Margets (340,000), DJ MacKinnon (321,000), and Mikhail Semin (124,000). Robert Mizrachi returns as the Day 2 chip leader in Event #74 after bagging 364,100. Only 115 remain from a 327-player field, but that total should grow with registration open until the start of Day 2. Jus behind Mizrachi are Peter Weinand (358,900), Jason Mangold (350,100), Michael Gathy (345,000), and Mark Teltscher (314,500). Others still remaining include Ben Lamb (203,900), Jason Koon (156,000), Loni Harwood (154,600), Jeff Gross (147,000), Daniel Negreanu (37,300), and Liv Boeree (30,000). Day 2 gets underway at 2 p.m. and PokerNews will have all the live updates. The WSOP is nearing its conclusion, so series officials are debuting a new event with this low buy-in event with a big guarantee and a fitting title — "The Closer." This event features unlimited re-entry and three starting flights on Thursday, Friday, and Saturday. Officially a two-day event, play is scheduled to wrap on Sunday, July 15. 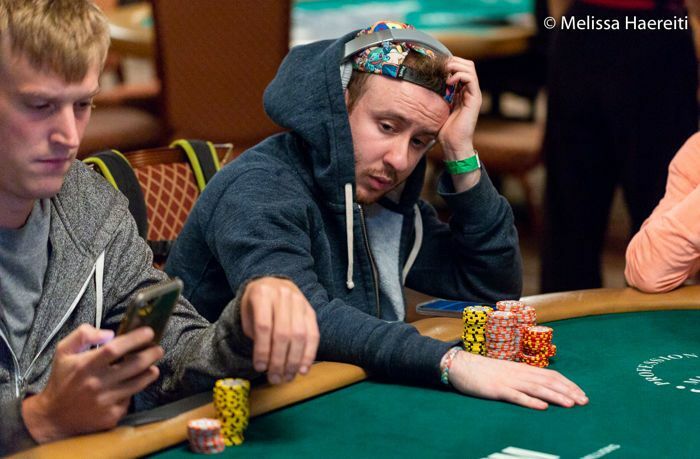 Players being with 15,000 starting chips with levels lasting 30 minutes. Late registration is available for 12 levels. PokerNews will have all the big hands when the cards start being dealt at 11 a.m.
More mixed-game fund is on tap for Thursday. This three-day event offers players 15,000 starting chips and features 60-minute levels, with late registration available for eight levels. Matthew Schreiber took home the bracelet in this event last year as well as the $256,226 top prize. The event attracted 399 players a prize pool of just over $1 million. 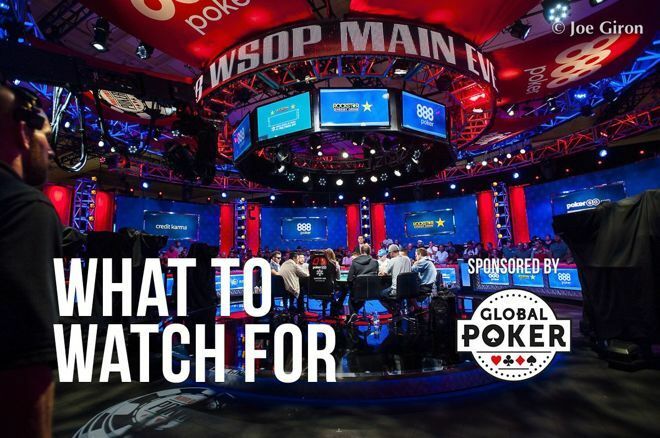 Keep it locked in at PokerNews as this event plays out starting at 3 p.m. today.